Fundraiser by Jill Hicks : Take a Stand- Raise the Roof! Take a Stand- Raise the Roof! 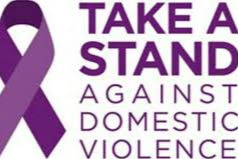 October is Domestic Violence Awareness Month! The Catherine Cobb Safe House is not only a 38 bed emergency shelter for women and children who are survivors of domestic and sexual violence, but a place for male and female survivors to meet with advocates who will listen, educate, advocate, support and most importantly BELIEVE! During the month of October we are asking the community to TAKE A STAND and show your support by giving to our Church Match Campaign. Five local churches have pledged their support in over $5,000 to be used for operating expenses at the shelter. All the funds raised will be used to support the daily costs of maintaining a safe and secure place for survivors to turn to when they are in need. Our grants do not cover these costs, it is imperative that these funds be raised in our community. Please do your part to help us raise another $5,000 or more to support the survivors of Lenawee County! All donations, big or small, really do help make a difference in the lives of over 400 survivors and children a year!